Welcome to the Indiana Society for Healthcare Risk Management website. ISHRM continues to advance the development and role of healthcare risk managers in Indiana. 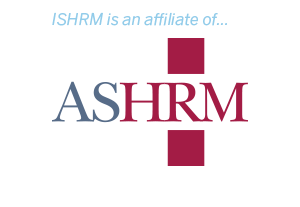 ISHRM provides a platform for its members to enjoy educational conferences, the exchanging of information, continuing education. The Board of Directors of the Indiana Society for Healthcare Risk Management appreciate the generosity of all our sponsors, and would like to invite the membership of ISHRM to make their appreciation known to this year’s sponsors. Save the Date! @ISHRM_AHA Spring Conference will be April 12th in Indianapolis. More details soon!